Quality of Copia Specialty Contractors, Inc.
At Copia Specialty Contractors, Inc. we will meet the required standards for the project or exceed them. We will document information about the project as required. We have trained personnel who have achieved the certification standard requirements such as SSPC CAS Level 2, SSPC PCI and NACE CIP Inspectors courses. This means that not only do we work to specification but have qualified personnel to verify that specification conditions have all been adhered to as required. 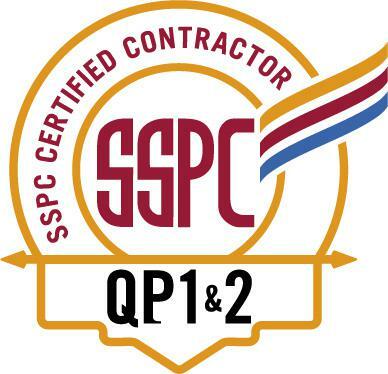 Copia Specialty Contractors, Inc. is a SSPC QP1& QP2 certified contractor. To learn more about the SSPC Certification please visit http://www.sspc.org/qp-1/. © 2019 Copia Specialty Contractors. All rights reserved.